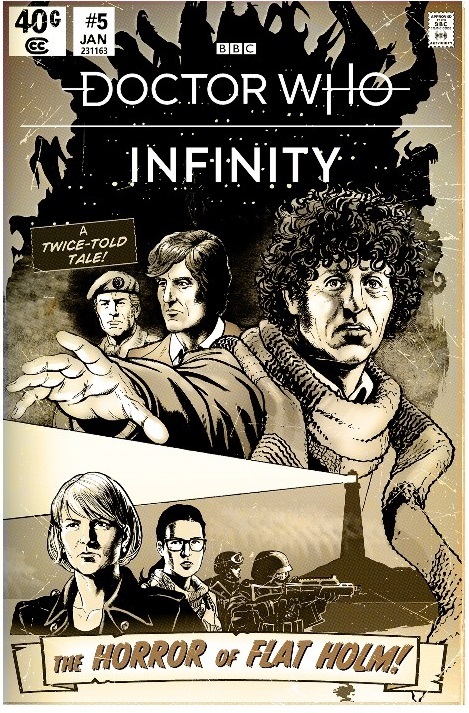 Now that Doctor Who Infinity has launched fans everywhere have the ability to play the first 3 stories featuring the third, tenth and twelfth Doctors. But what about all the other Doctors? Don’t worry, they are on their way! Tom Baker’s fourth and Matt Smith’s eleventh Doctors are some of the more popular regeneration of the world’s favourite Time Lord. So naturally Doctor Who Infinity is eager to bring stories featuring these two incarnations to their fans! Details on the next two stories planned for release can be seen in the story collection list for the game which was released today. Bonfire night, November, 1966 and the Eleventh Doctor, Amy Pond, and Rory have found themselves in the midst of a mods and rockets riot at the formerly peaceful British seaside town of Barry Island. A local fish and chips shop owner finds a dead body in his alley way, just one in a series of gruesome deaths. Smiling families swarm to the nighttime neon lights of the funfair, but so does something much more deadly. 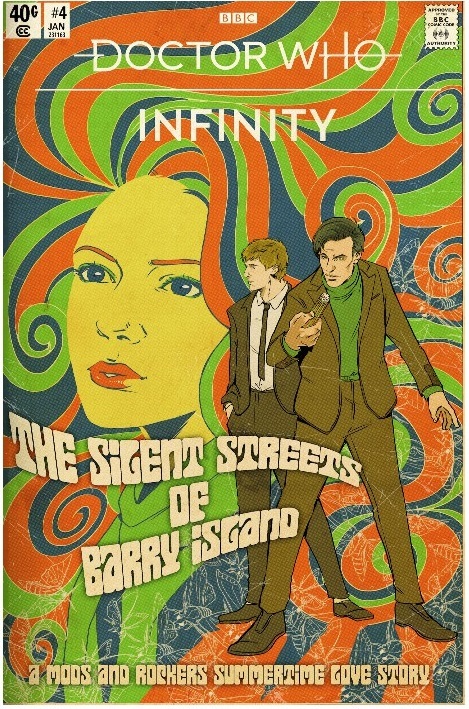 As Amy and Rory acclimate to the groovy vibe of the ’60s, an unlikely love story unfolds and the Doctor races to work out what is terrorizing this town. This story features the voice of Steffan Rhodri as ‘Ted’. It was written by Jacqueline Rayner, with art by Emma Vieceli and colourists Kris Carter and Dylan Teague. Drawn in ‘noir’ style, the Horror of Flatholm follows two different time periods as our heroes face a menace on Flat Holm Island! In the 1960s, the Fourth Doctor and Captain Mike Yates travel with a scientist to an island off the coast of Wales, In the present, at night and during an intense storm, Kate Stewart leads a UNIT mission to the same island alongside Osgood. Their goal is to investigate the strange goings on at the military base which has been built at the same location. But nothing is ever easy, and the decisions of the past will have repercussions on the present for Kate and Osgood. This story features the vocal cast of Ingrid Oliver as Osgood, Richard Franklin as Captain Mike Yates and Nick Briggs who is known for his work voicing the Daleks, Cybermen and many other Doctor Who monsters in the past. The Horror of Flatholm was written and coloured by Mike Collins and drawn by artist Patrick Goddard. These stories should be available through the game within the next few months. Fans can get their fix of Doctor Who today by playing through the first three stories: The Dalek Invasion of Time, The Orphans of the Polyoptra and The Lady of the Lake, now available. Mobile versions of the game will be released later this month for iOS and Android.